Here I go messing around with those “usual” pairings again. 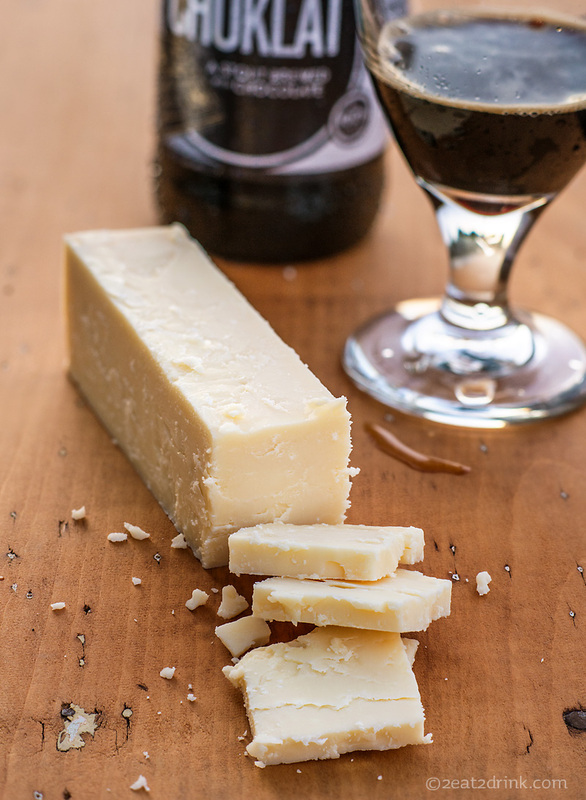 But I had the beer…and I had the cheese, and I thought….why not??? It turned out to be a really good idea! In this case, the cheese came first…..from a June trip to the Thousand Islands. How can you resist a cheese called Mean and Nasty? It’s a super aged cheddar from River Rat cheese. 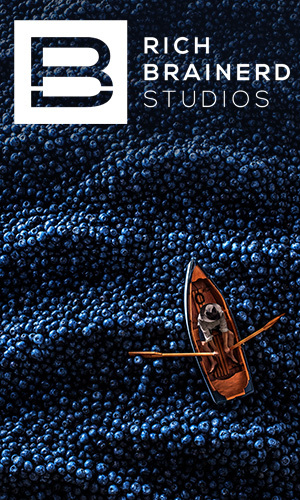 (Even thought I can’t find any information on their website.) Our oldest son spotted it in a gift shop in Alexandria Bay, saying he’d had it before and liked it. He wanted us to try it, so we picked it up. It sat in the fridge until the right pairing came along. 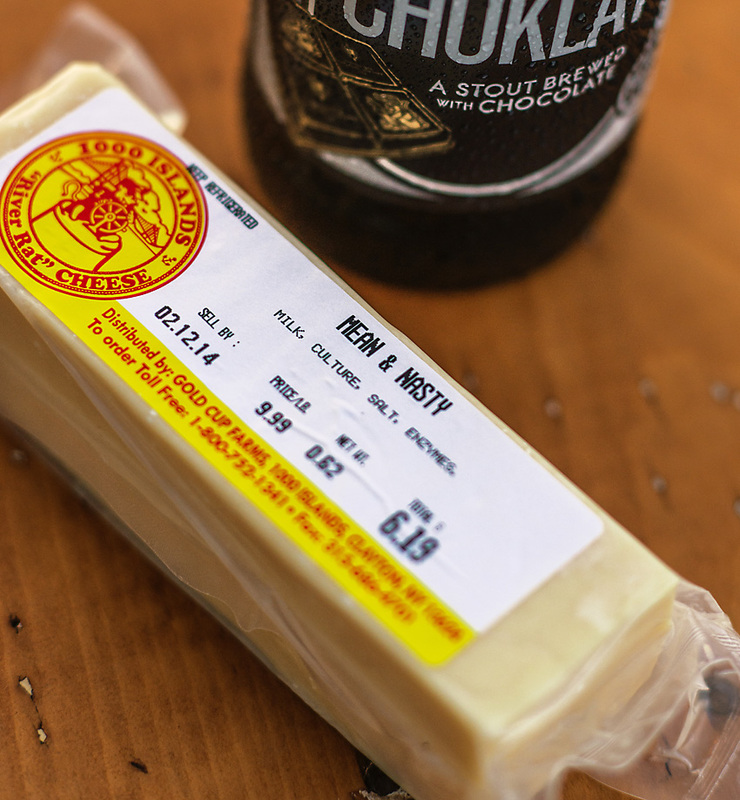 The cheese has a definite sharp bite, but being a fan of sharp cheddar It’s hard to call it nasty. It has a lot of creaminess hidden under the sharpness and plenty of calcium lactate crystals hidden throughout. The river brought back lots of great memories for me, from the many months I spent on the river during my youth. I discovered the beer during a photo shoot. (Yes…I love my job!) I poured 9 different beers for the shots and since there was a touch left in each bottle I got to try them all. 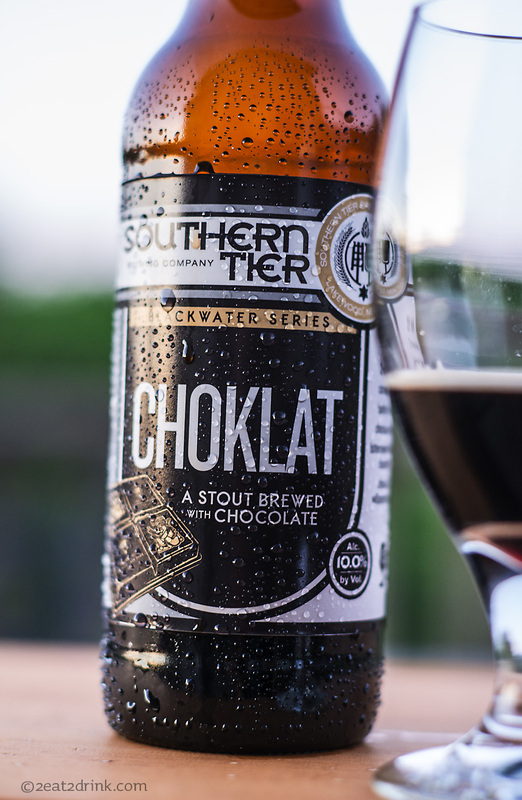 The Southern Tier Brewing Choklat was a standout for me. It’s a stout brewed with chocolate….and it’s delicious on its own. The scent of chocolate and caramel fills your nose as you bring your glass up. The taste is very creamy to start, with caramel malt, and finishes with bittersweet chocolate and hops. Together…..it’s creamy chocolate bliss. The bite of the sharp cheddar pairs well with the hops. The creaminess in both blend together, while the chocolate shines through. Yum! Here are a few highlights from our trip! A reflection from the Antique Boat Museum in Clayton. The dock in Alexandria Bay at dusk. The boys were very excited to see Saranac Root Beer on the menu! The stained glass dome in the grand entrance hall to Boldt Castle, complete with the Boldt family crest. Many rooms in Boldt Castle have not been renovated and are still covered with graffiti. Boldt Castle’s South facade. Quite impressive! The welcome arch at the approach to Boldt Castle, with my crew! Note the tiny house island in the background.